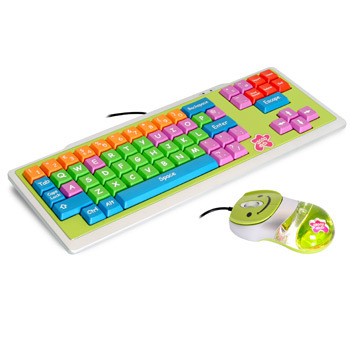 Features This keyboard is easy to handle for very young users and is designed for children aged 3 to 8. Its bright colours allow them to memorize numbers and letters, which will help them as they begin to learn to use the computer. Different key colours for learning consonants numbers and symbols.